Every year when we pull out our Christmas tree ornaments I get giddy over this adorable reindeer ornament we made years ago. Handprint keepsakes are a forever treasure for Mom’s, Dad’s and Grandparents. So this year we recreated the ornament into this cute reindeer handprint Christmas card that will delight all of your loved ones this holiday season. Not only will kids love helping you making it but they can personalize a message inside the card that Grandma and Grandpa will treasure forever. 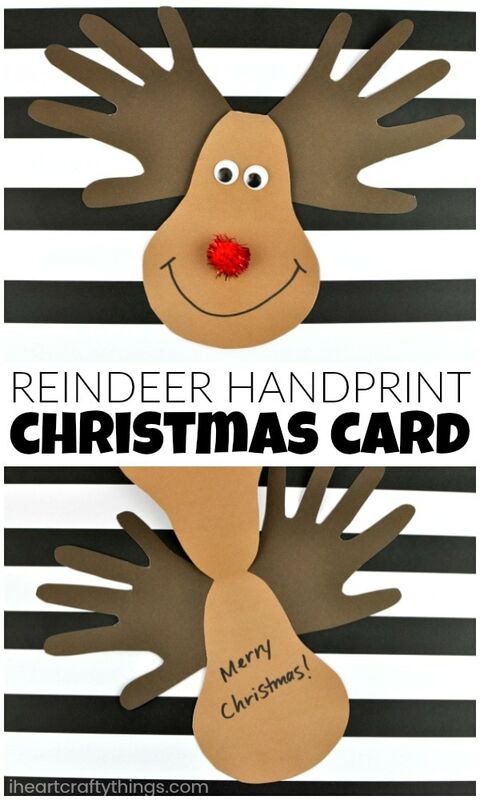 reindeer handprint Christmas card template <—–DOWNLOAD THE TEMPLATE HERE! Watch the full tutorial before you get started and subscribe to our YouTube channel so you never miss a new video! 1. 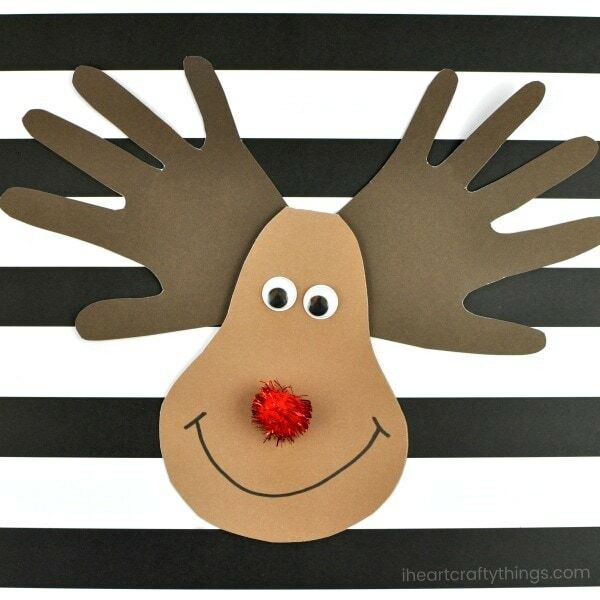 Print out the reindeer face template and cut it out. 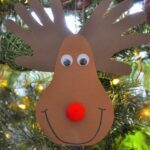 Fold your light brown cardstock in half and trace the reindeer face template onto your paper with the top of the reindeer head at the fold of your paper, untraced. Now cut out the head. You should have a card that opens and closes. 2. 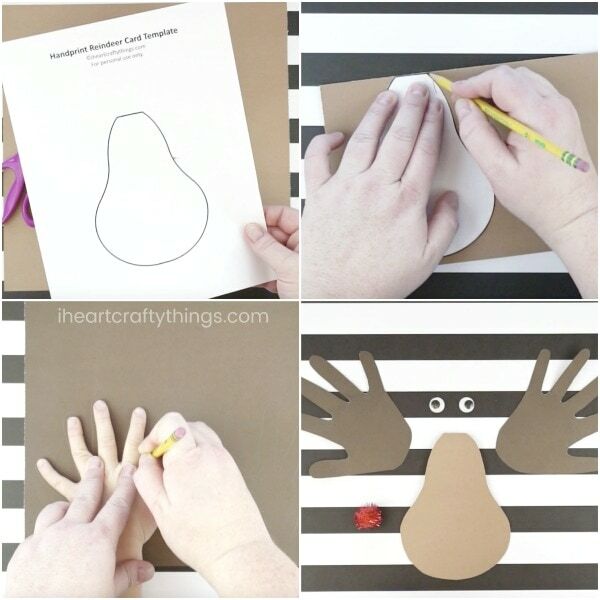 Trace both of your child’s hands on your dark brown cardstock. Cut them out. 4. Use a black marker to draw a big smile on your reindeer. Your reindeer handprint Christmas card is finished! Now open it up and write a message to someone special like Mom, Dad, Grandma or Grandpa. They will squeal with delight when they open this fun keepsake handprint Christmas card. Looking for more fun Christmas Card ideas? 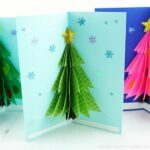 This glittery Christmas tree craft is beautiful and makes a fabulous Christmas card. 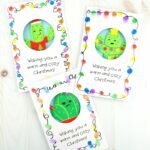 Instead of a personalized card, make some of these easy Christmas Photo Ornaments for a keepsake gift for loved ones.